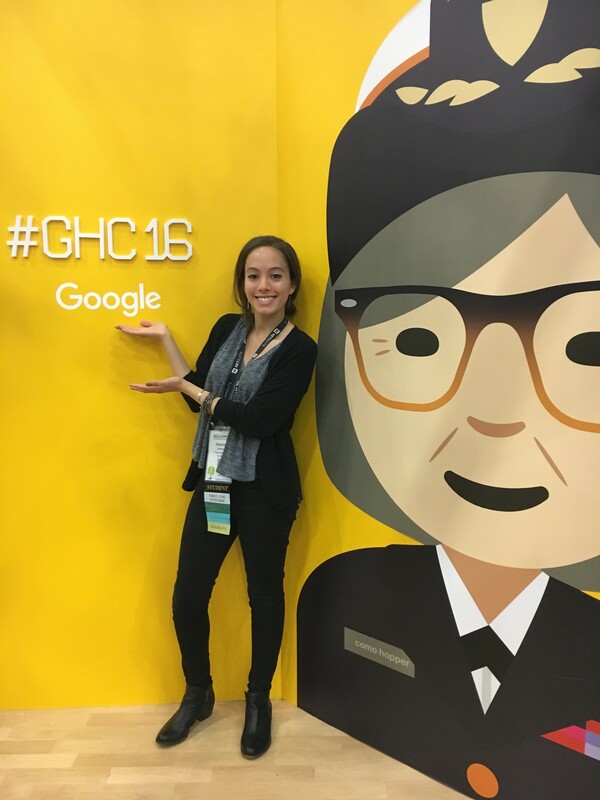 Seidenberg hits up Grace Hopper Celebration again! 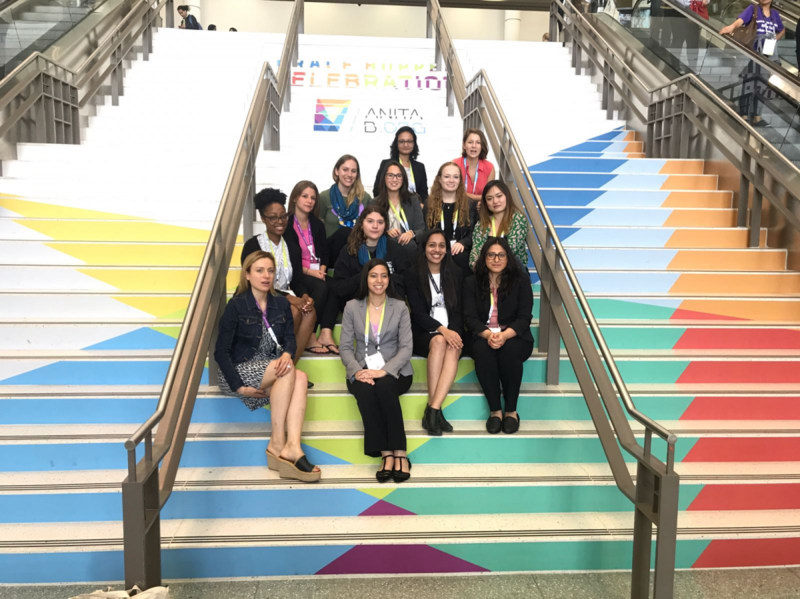 This month, a group of 14 Seidenberg students and staff travelled over 1,000 miles to join 18,000 other attendees at the 2017 Grace Hopper Women in Computing Celebration (GHC) in Orlando, Florida. 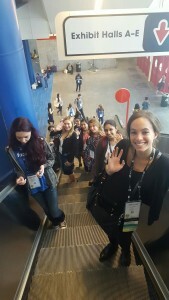 With daily opportunities to attend an extensive career fair, interview with top companies, and attend panels on just about any subject you could ask for, the conference was a unique experience for each attendee. Ava Posner, Olga Bogomolova, Niamh Fitzsimon, Kim Brazaitis, and Svetlana Kotlyarenko travelling in style. A few of the students were able to join the Anita B. Worker Bees and volunteer for GHC. 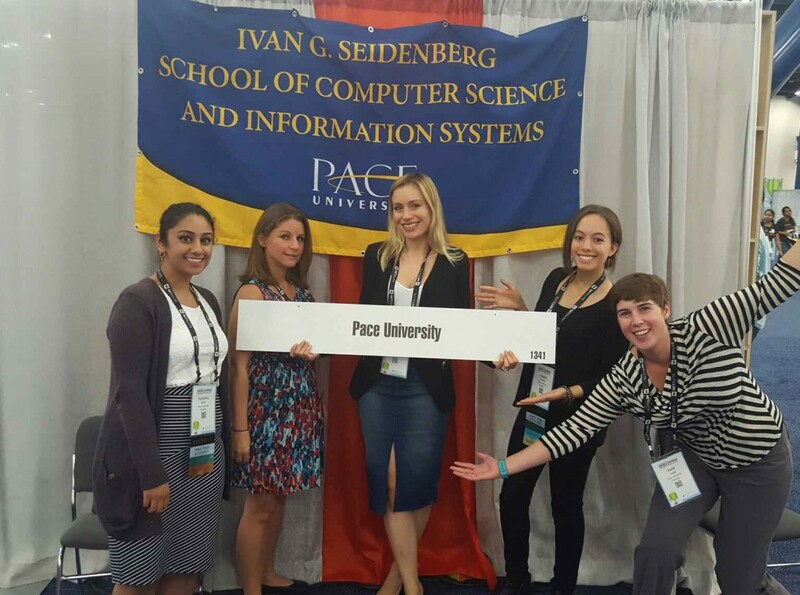 Seidenberg students and leaders of the women in tech club WIT@Pace Kaitlyn Bestenheider (MS in Information Systems), and Elizabeth Molloy (BS in Information Systems) were a part of the team that kept the official historical records of the event for the GHC. 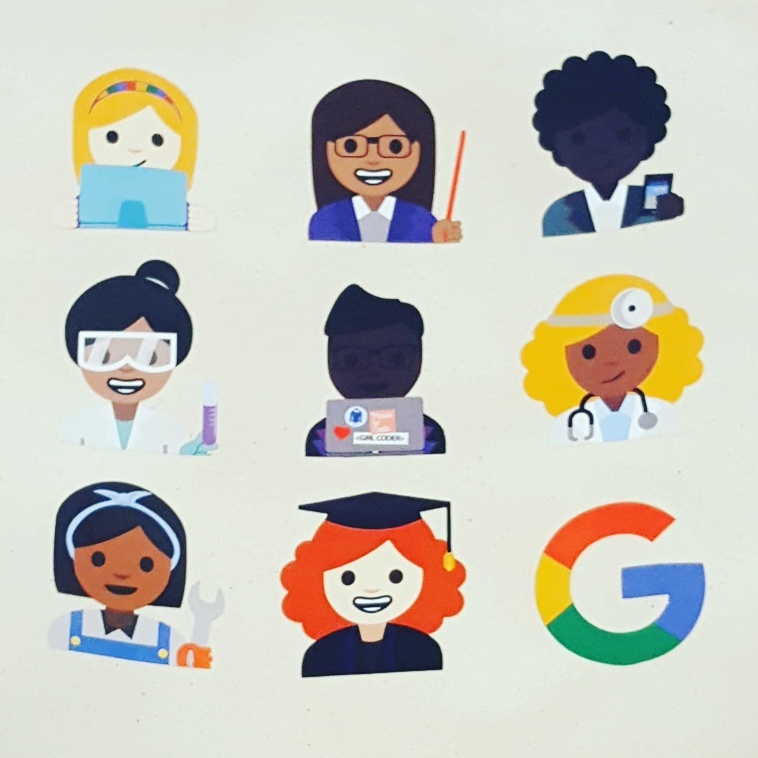 Her call to action was to ask every person in the room to inspire or encourage just ten women to join or stay in the technology field. If just 2/3 of all attendees made this their goal, over 120,000 girls and women would be affected. That’s more than all of the computer science graduates expected for this coming May. 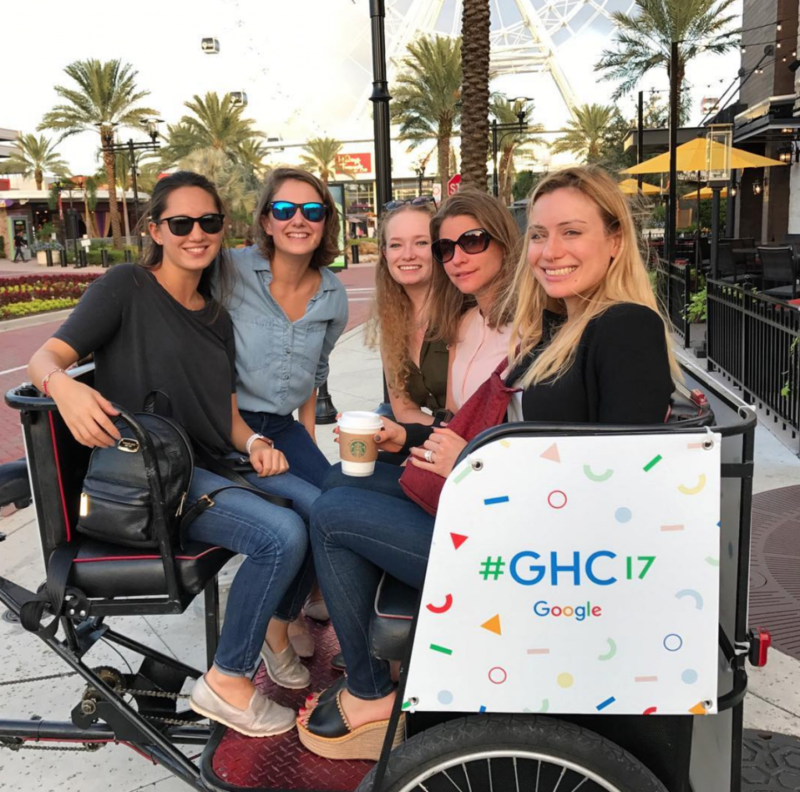 We already can’t wait for GHC next year. Thanks to Seidenberg student Kaitlyn for this excellent post! October was a busy month at the Seidenberg School. Not only was it Cybersecurity Month, meaning we had plenty of events relating to all things privacy and security, but we were still recovering from the launch of the fantastic NYC Design Factory. 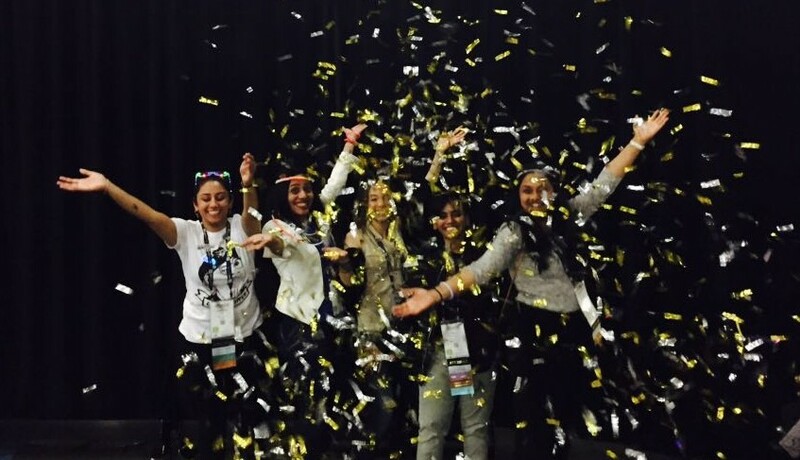 What better time to get away from it all by attending the Grace Hopper Celebration of Women in Computing conference in Houston, Texas? The conference is a massive, annual event that usually takes place in a different location each year. Since its inception in 1994, the conference has grown from just a few hundred delegates to this year’s incredible collection of attendees – around 16,000! 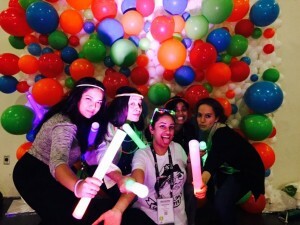 And some of those awesome women in attendance were Seidenberg students and staff. Amongst the students were undergraduates Karishma Saini (BS Computer Science), Melanie Green (BS Information Technology), Gauri Kirve (BS Information Systems), and Ketaki Mulajkar (BS Computer Science), as well as graduate students Raisa Mukadam (MS Information Systems), Alexa Piccoli (MS Computer Science) and Beverly Gladden (MS Information Systems). They were joined by Seidenberg staffers Kim Brazaitis, Svetlana Kotlyarenko, and me! To say the conference was absolutely massive is an understatement. 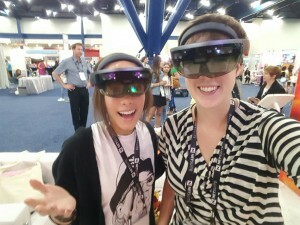 The opening keynote took place in the enormous Toyota Center stadium where amazing speakers got the crowd hyped up for the next few days of networking, professional development workshops and sessions, and a serious amount of partying. 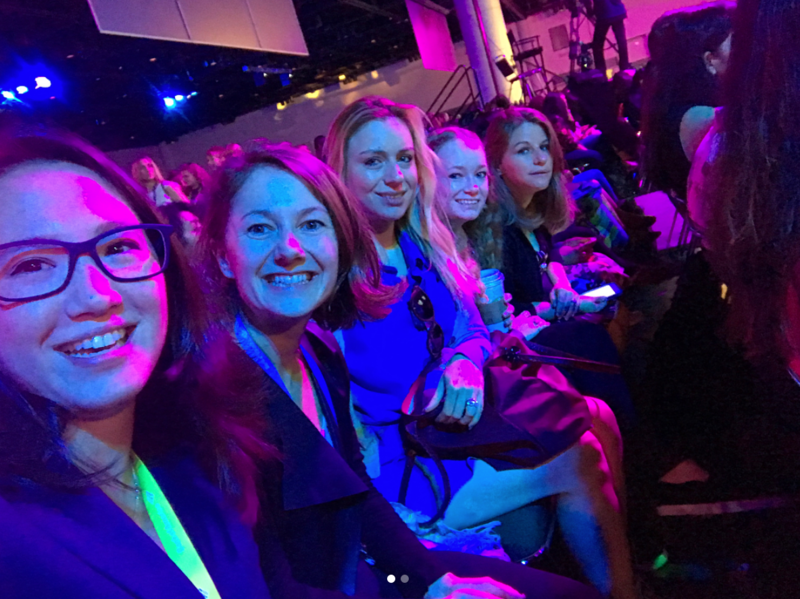 Keynote topics included privacy and cybersecurity, artificial intelligence, and cognitive computing, and were discussed by Latanya Sweeney, Ginni Rometty, Alyssia Jovellanos, and Anna Patterson. After the keynote, the conference was in full swing. Day one consisted largely of everybody checking out the expo, where hundreds of organizations (including the Seidenberg School!) 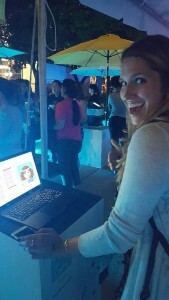 had set up booths to share information, network with others, and give out free swag. 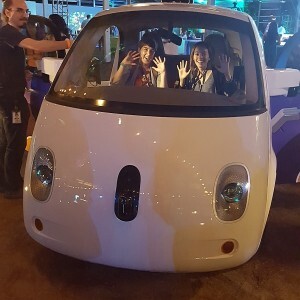 In the evenings, a wealth of social events took place with free food, fantastic networking opportunities, and inspirational speakers – including the aforementioned Google party that was, indeed, out of this world. Days two and three were packed with professional development and educational workshops and panels that our students were sure to make the most of during networking breaks. Some of our students were so impressive that they were offered interviews for jobs on the spot! We are extremely proud of our students’ talents and their abilities to share their expertise with people they have just met. The conference came to a close too soon and we were sad to leave the warm, humid temperatures of Houston to return to the tepid airs of New York… but it was an incredible experience. Graduate student Alexa Piccoli said: “Attending Grace Hopper this year well exceeded my expectations . . . There are so many awesome things happening in the world of technology and it reassured me that being a women in the field is something I should be proud of and thankful for. Interested in attending the conference next year? Let us know!